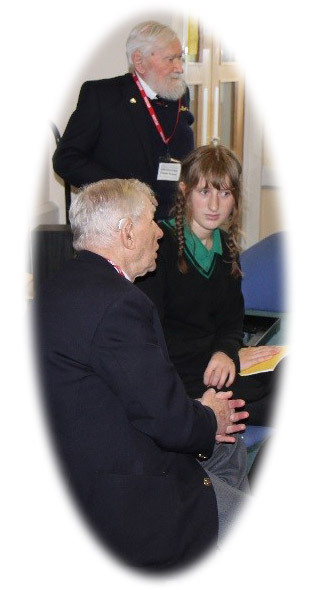 On Friday 25th January Heathfield Community College was host to some very special visitors. 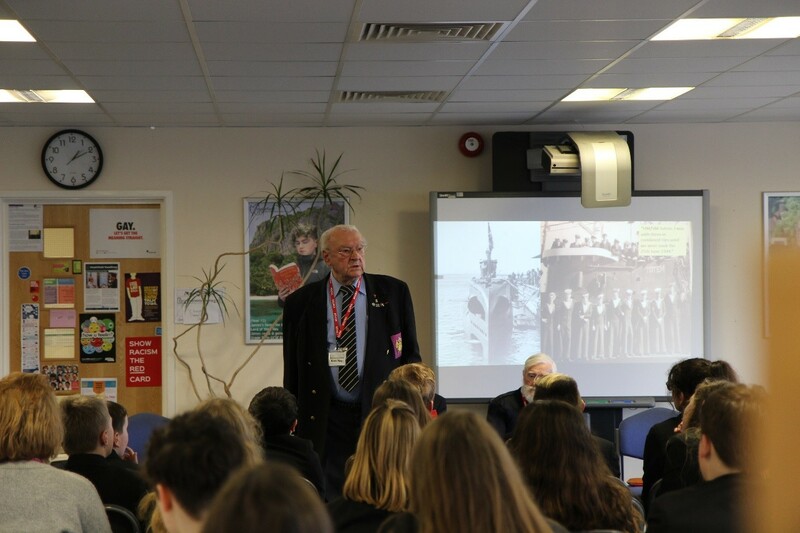 World War 2 and Normandy veterans were able to visit the College and talk about their wartime experiences. Veterans, Patrick Thomas and Len Hobbs are both ex Royal Navy. Patrick was on combined operations until the ship he was on was sunk on 25 June 1944. He was one of the few survivors from the event and subsequently he transferred to work on a submarine in the Far East. Ken Hay, also visiting, served in the army. He was captured just after the Normandy landings and sent to a Prisoner of War camp in Poland where he was put to work in a coal mine. He resided there until the armistice and then began what they called the 1000 “Death” March. Phil Terry, a World War Two re-enactor and the son of another Normandy veteran also came along and brought with him an amazing selection of memorabilia from World War Two, including rations which the people in England were given at the time; personal items belonging to soldiers, like map cases and sewing kits, a selection of uniforms and other items from the period. All three veterans spoke to students about their experiences and were open and willing to answer questions from the students afterwards. Unsurprisingly the students were mesmerised by the dignity, experience and integrity of these former soldiers. Many stayed long after to ask further questions and spend time in the company of these incredible gentlemen.